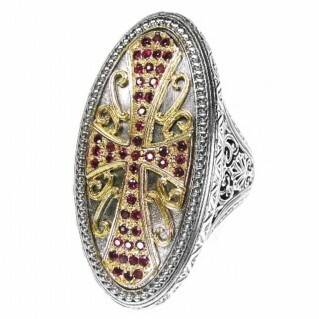 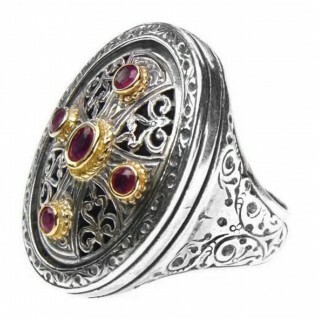 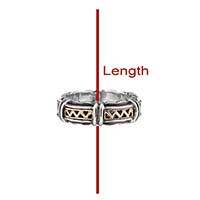 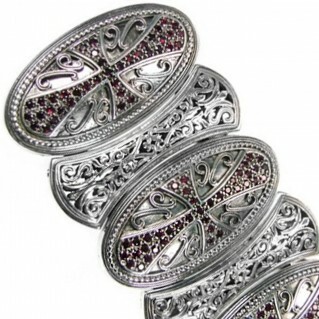 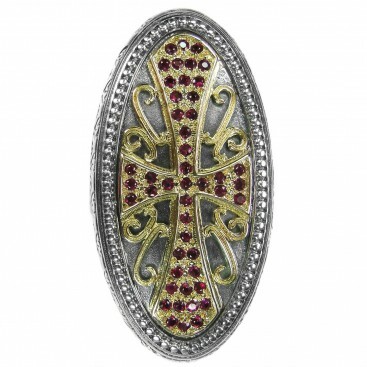 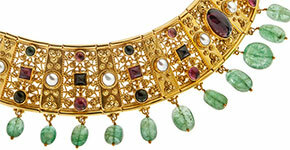 An imperial, large Medieval-Byzantine cocktail cross ring in Solid Gold and Sterling Silver with rubies. 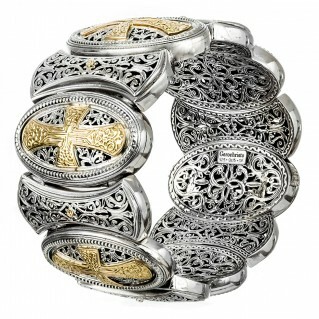 18K solid gold and sterling silver large cocktail cross ring inspired by a Medieval-Byzantine design, handcrafted with the finest attention to detail by designer Gerochristo. 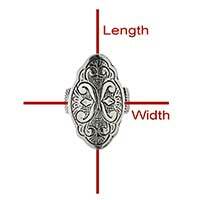 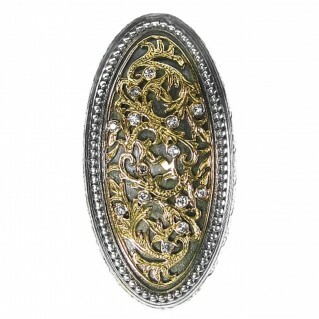 An impressive, large ring with filigree and engraved motifs decorated with a gold Maltese cross and small rubies.